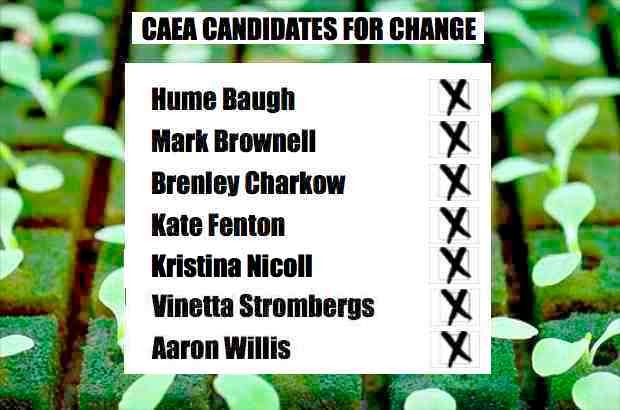 Last Monday, CAEA Ontario held an all-candidates night to introduce the 20 local candidates running to fill 7 Ontario seats. Each candidate was given an opportunity to read their prepared statement and then take questions from the audience. You can read their entire collective statement at the bottom of this post. As Co-Chair of the TAPA Indie Caucus, and Artistic Producer of Praxis Theatre, I’m sure it will come as no surprise to our regular readers that I am weighing on this election, and endorsing an indie slate with these collective intentions. We have written extensively about Equity’s long and drawn-out process to create a new Indie Agreement, and my Praxis colleague Michael Wheeler has endorsed Equity Councillor and CPAG candidates in previous years. As always, we welcome debate from all sides in our comments section. If there is a particular issue that you would like to see addressed, let us know, and if we can’t address it ourselves we’ll do our best to find someone who can. If you’re a member, you should also check out the already lively debates on the Ontario & National CAEA Facebook pages. Voting started on Friday, and continues until Wednesday, October 31st. Members should have received their voter instruction kits by now, and I encourage everyone to read the statements of all Ontario candidates here. If you are voting outside of Ontario, you can find your candidates by region here. If you haven’t received your voter kit by October 10th, Equity is encouraging members to contact the national office for assistance. You can vote online or by phone, and you have the rest of the month to do it. So if you haven’t already voted, check out the indie slate’s platform below, and then join the discussion. Filed under actors' unions, Aislinn Rose, CAEA. Thank you very much for your endorsement, Praxis. I believe the three points in this platform are the key to Equity surviving in a radically new theatrical ecology. It’s very simple. If these three points are not addressed then Equity is finished. I could write reams and reams of points on each topic but I will keep things brief here to start off the conversation. 1. The New Indie Agreement – this has been 5 years in the making. Everyone is holding their breath because after much kicking, screaming, and flip-flopping, Equity is finally releasing these agreements in November. Only one question remains: Will these new agreements accurately reflect the will of the membership? We shall see very soon. 2. Improved Communication – sounds benign, doesn’t it? Bad communication thanks to a dysfunctional corporate governance model is currently the biggest threat to the association’s existence. Equity has gone out of its way to alienate so many different parts of its membership over the last five years that the association is coming apart at the seams. The solution? Way more transparency and the free flow of ideas between the members, council, and staff. 3. A re-examination of Equity’s role in the artistic ecology. This is the most fundamental point of all because it speaks to Equity’s drifting away from its core principle – supporting the GENERAL WELFARE of the performing arts. Some of you will probably blink when you read that one. That’s Equity’s core principle? Yes, it is. Equity is currently shrinking in size and influence. There are many reasons that compound this problem. When a bureaucracy shrinks it tends to circle the wagons to protect itself as an institution. As the situation worsens that institutional protection comes at the expense of its membership. That is what we are experiencing right now. Thank you once again Praxis. You are such a vital part of the dialogue in our Toronto Theatre community and you help us shine a light that guides the rest of the theatre community across this country into engaging conversations. That’s what we need. Only through discussion about the topics that matter will we make the changes that will help us continue to create theatre in a meaningful way. Thank you for endorsing this fantastic list of candidates (I’m so proud to be associated with these colleagues). I truly hope we all get elected because I know we will work together to create those changes that Aaron Willis has articulated so well and that those of us who served on CPAG (Ont. Advisory) last term want desperately to see come to completion. We have to be part of the solution, not the problem. Forward ho! Tip-o-the-hat to colleague Rose for a killer and concise rundown on exactly what is going down here. Like Vinetta I am also proud to be associated with these artists who are going way out of their way with no discernable benefit to themselves to help bring CAEA into a positive relationship within the theatre ecology. I also agree with Mark’s first point that the new indie agreement will be a huge moment that will have a major impact on the continued relevance of the association. After five years of votes (96-1& 43-3!) and surveys to create something that reflects the will of membership, a sub-par document could lead to a lot of indie artists opting out of acknowledging CAEA even exists. I don’t want that to happen. I think we are stronger as an industry and a community working together, but I think it’s important we acknowledge directly what is going on here. Time to recognize that indie theatre is the future and artistic engine of Canadian theatre and it should be fostered and supported instead of persecuted. Part of making that happen will be electing a council that recognizes that. I was one of the Councilors that sat on the Indie Theatre Review Committee. And as Mark said, the new agreements will be announced soon. The reason I don’t have the Indie as one of my top three issues on my platform, is because I think a majority of the membership is going to be excited and happy with the new agreements. I absolutely think having an Indie Advisory Committee is a “must have” committee. The way we work is always changing. And the input we got from our committee, indie representatives from all over the country that were as diverse in their regions, disciplines and heritage, as they were in the way they worked, was priceless. That type of diversity on the new committee should continue. Council and staff will need feed back, and a committee like that is one of the best ways to link to all indie communities. And any one of the above candidates would be a great choice to lead that committee. For those who don’t know what my platform is: Communication between Council/Staff and the membership is my number 1 priority. Government Lobbying for more arts funding and for changes in the application process for productions coming into our country is number 2. And number 3 is that I want to bring back the Women’s Committee (how do we ensure women (of all ages) have the same work weeks as men?). Thank you, Praxis, for encouraging everyone to be apart of this process. I am all for the women’s committee… Especially since I believe that it will be women, the elderly and minorities who will suffer under the two tier pay scale (that I believe Kerry Ann also endorsed.) Correct me if I am wrong on that. The fact remains that discussing wage parity while creating a system that allows producers to pay some Equity members less seems like talking from both sides of ones mouth.